Connected lighting can be described as the linking of lights to controls in order to embed them in the internet of things. The original Philips factory was set up 123 years ago in the Dutch city of Eindhoven. Where the factory once was, now stands the Art Hotel, and still gives subtle nods to its history through pictures around the building. 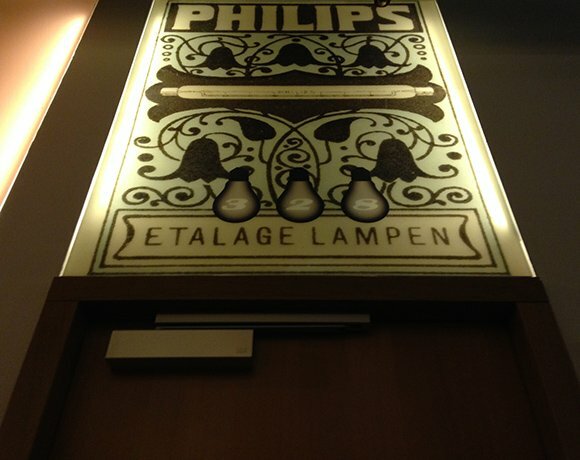 Now, 37% of the Philips Empire is lighting, and 34% of 2013 sales in the lighting department came from the sales of LED. By integrating LED lighting with networking and mobile technology, Philips has designed solutions for offices, cities and shops to reduce cost and increase efficiency.